Whether it’s his new band The Magpie Salute or his former one, The Black Crowes, it’s all about connectedness for Rich Robinson. For example, when the 49-year-old Georgian formed his new band in the wake of the platinum-selling rockers’ demise in 2015, he had to bring fellow ex-Crowes Marc Ford and Sven Pipien into the fold, too. The Crowes were, of course, co-founded by Robinson and brother/frontman Chris, bursting onto the scene in 1989 with rock ’n’ soul swagger, with Robinson filling the brief of rhythm guitarist and chief songwriter. However, the band’s global success papered over some hefty personal and creative differences – primarily between the two brothers. In 2015, after eight studio albums of critically and commercially lauded Americana-vibed rock ’n’ roll, the final, acrimonious split occurred. 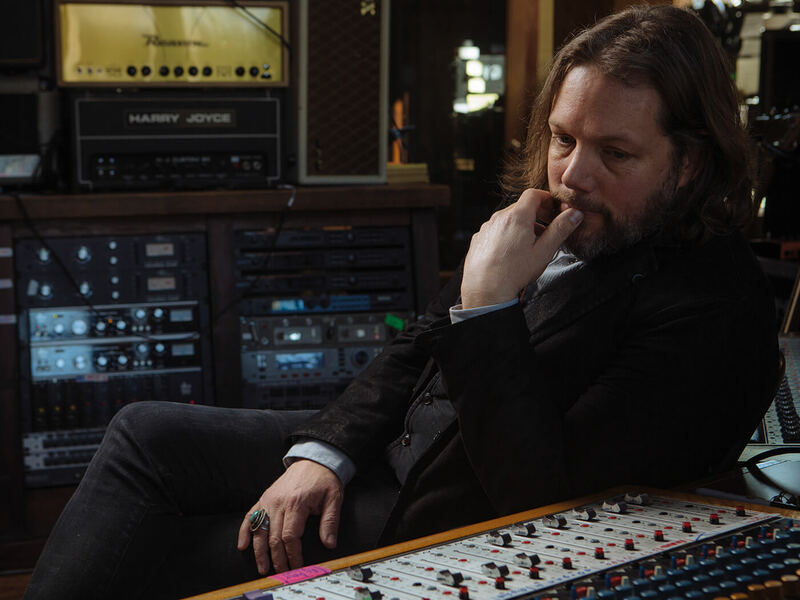 Introspective and considered, the younger Robinson has never courted the limelight, but music was still his passion, and so Rich quickly embarked on a solo career that saw him prove his mettle as an acoustic guitarist, but there was still rock ’n’ roll in his future. 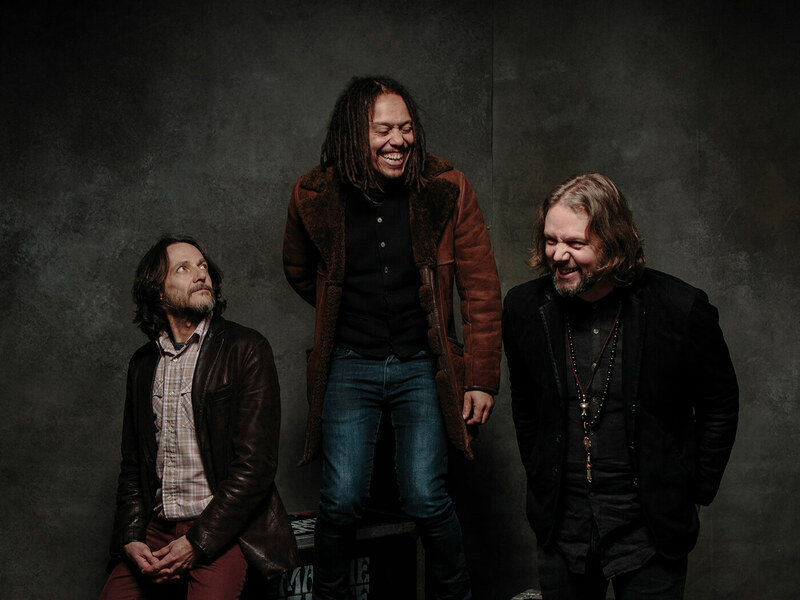 The birth of The Magpie Salute – bluesy and often heavier than the Crowes, and yet highly-nuanced and steeped in harmonies – was something that took Robinson almost by surprise. “What I like is that it happened so organically,” he explains when we chat to him on a trip to London. “I was touring my last solo album [The Ceaseless Sight] and an opportunity arose to play a show at Applewood Studios in Woodstock New York, where I liked to record. They invite artists to record live there with 100 people in attendance. The audience gets a glimpse into the recording process, too. As I get older I appreciate the strong musical bonds you sometimes get after many years of doing this. That happened when Marc Ford and I played together so I reached out to him and he said, ‘I don’t care what its for, I’ll be there’. So it’s kinda cool that we’re on the same page. But the remarkable and familiar chemistry between the three meant that almost immediately it was clear that the project would extend beyond a one-off jaunt. “I recruited singer Jon Hogg, and then I started to think about naming it,” Rich recalls. “We were always gonna be ‘cousins of Crowes’ – there’s no denying it – and I like the word ‘magpie’, because the word represents both dark and light, whereas crows tend to be dark creatures. While the songs may be collaborative, from a lyrical perspective, Robinson is coming from a deeply personal place when he writes for The Magpie Salute. “Humanity is a theme, and seeking a little bit higher things than what we’re given nowadays, as it pertains to what music, art, creation is,” Rich reflects. “The world is filled with so much technology, so much of reality is mired in digital, big pharma… which blunts human emotions. But humanity needs to feel things. So these songs cover universal themes. For me as a writer I need to shoot higher than fame or money, and the need to validate people’s emotions is important. For Rich, songwriting isn’t a manufactured exercise, but rather an organic one. “I don’t believe that I can try hard to write a good song,” he insists. “For me, I just tap into the subconscious when I’m feeling it, and luckily it comes to me that way. I never sit at the piano or with a guitar to write a song if it’s not already in my consciousness. I can’t just treat songwriting like a job where I’ll spend hours writing music. I can’t write that way although I’m sure other people can get great songs that way. I have to feel inspired to write. A reluctant producer he might have been, but Rich has begun to master the subtle art of being in charge yet keeping the band vibe intact. “It’s totally a band thing,” he reiterates. 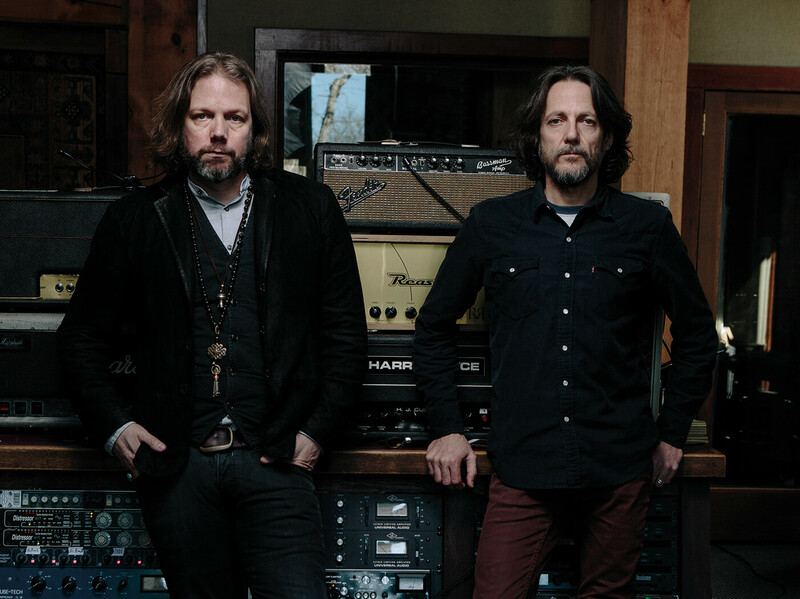 When it comes to the guitar side, both Robinson and former Crowe Marc Ford each bring their own strengths and preferences, and again the duties are spit on a very egalitarian basis. “It varies all over the record,” Rich acknowledges. “For songs he wrote, I’ll do solos, licks, counter-rhythm and melodies. And for songs I played and wrote he’ll do the same. Having so many people in the band [TMS has six permanent members and up to 10 in live setting] and dealing with our budget, we had to have a finite time in the studio. So I had three weeks for the band and two weeks for me and Jon to do all the vocals. In 2012, Hurricane Sandy caused huge devastation along the US east coast, and with most of his gear kept in storage in New Jersey, the hurricane also claimed many of the prized guitars that Robinson collected over the years. It’s a nightmare scenario for any guitarist, yet Robinson has managed to keep it in all in perspective. “I lost almost everything,” he reflects. “There were dumpsters of ruined gear, except about five guitars. But there was a cleansing element to it. Guitars are made of wood and I bought more pieces of wood with strings on afterwards. So I just started over collecting and the new guitars sound like me when I play them, so I moved on. His rebuilt collection heavily on Gretsch – with both White and Black Falcons in the mix, plus a ’56 Streamliner and a Zemaitis. “On the album I also used a Dan Armstrong with a pickup that was made for me,” he adds. “Plus I’ve got a Mary Kaye Strat I use a lot, a Danelectro 12-string, this great yellow Tele I’ve had for a while, my Goldtop I’ve had forever, and one of my 335s. One was destroyed and the company who fixed it did a great job, but it wasn’t the same guitar in feel or sound anymore – it started to delaminate. But the Goldtop turned out much better than it ever sounded before the flood, and their repair ironically made it sound better than ever! High Water I is out now on Magpie Records.